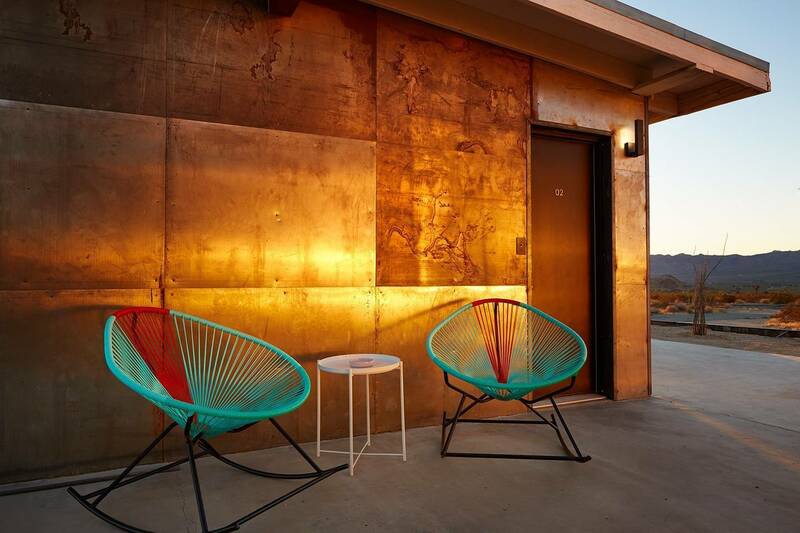 We’re not sure why, but the desert just seems to inspire creativity in its residents. If they’re not making sculptures in the front yard, they’re covering every inch of wall space with paintings. 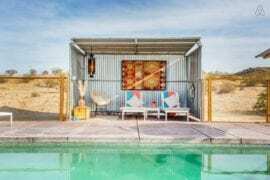 For that reason, we’ve put together this list of 8 Joshua Tree Airbnb homes that inspire creativity. Not only are these places visually inspiring, but some of them even keep art supplies on the premises so you can create when the spirit moves you. 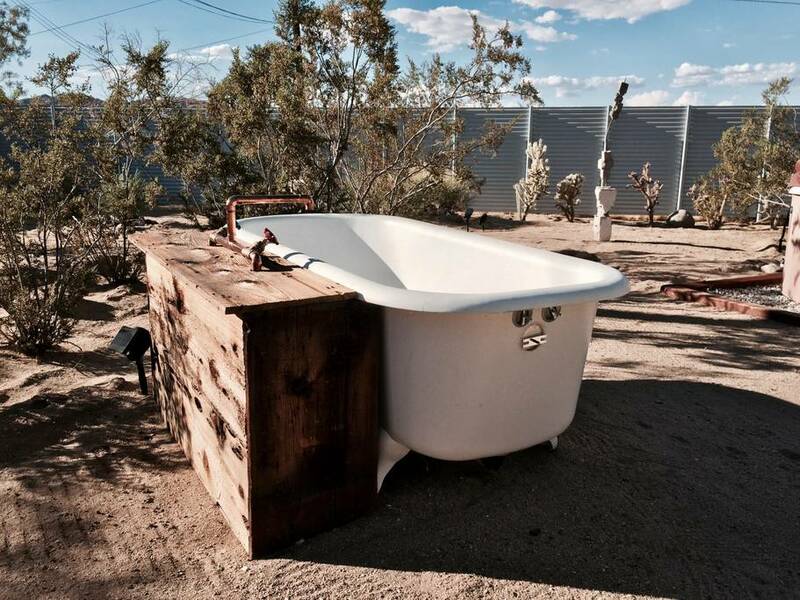 Usually the best views from Airbnbs in Joshua Tree are outside but in this case you might not be able to take your eyes off what’s inside. 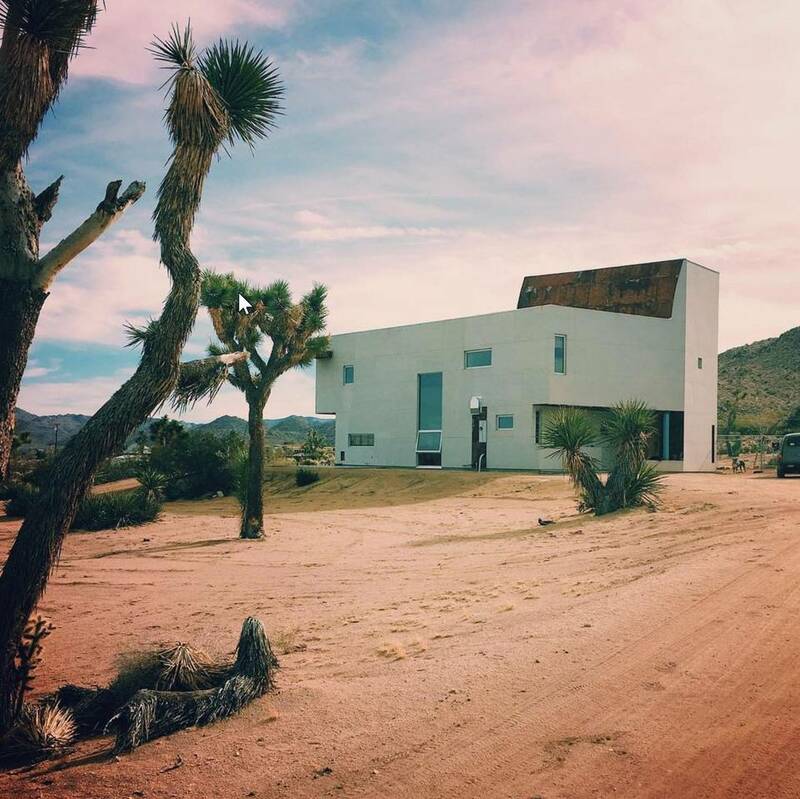 Like a little art gallery in the middle of the desert, this Joshua Tree Airbnb belongs to working artists you might even see working on the grounds. 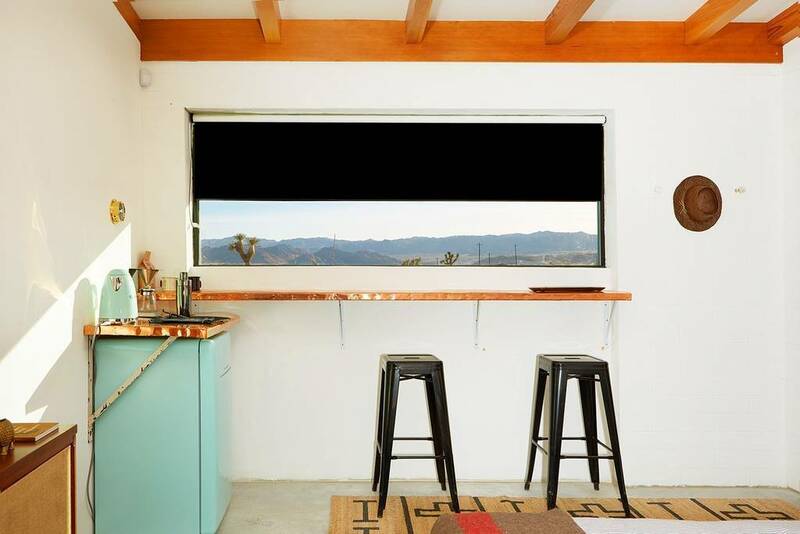 Known as “La Bonetto Casita Joshua Tree,” this one-bedroom home actually sleeps up to six so start thinking about who your five most creative friends are. 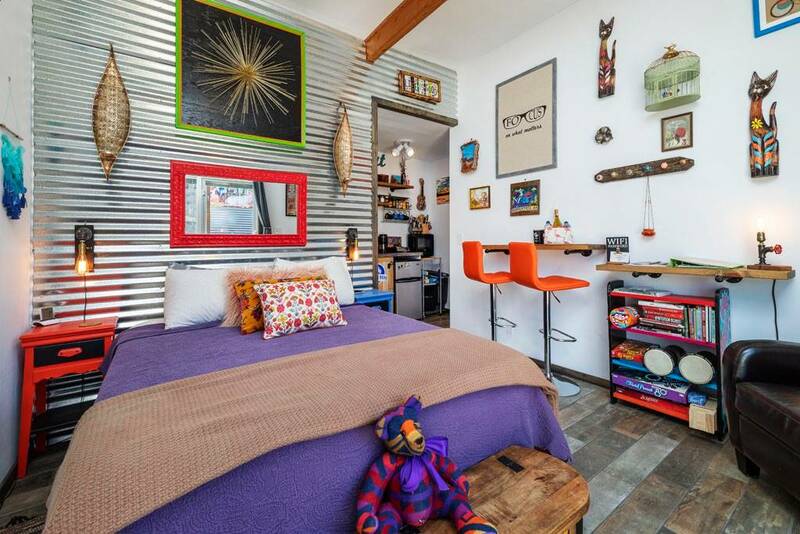 In addition to the living quarters there are 625 square feet of art studio/jam session space. The owners even provide an easel and drop cloths so bring your art supplies and get ready to create! 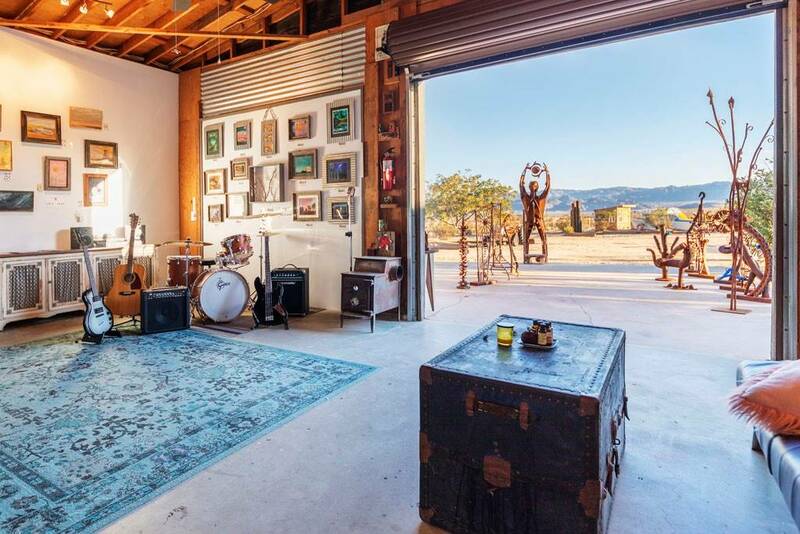 If you’re a musician there are monitors, microphones, a drum kit, speakers and a four-channel interface (whatever that is) and all behind a metal door that rolls up so you can view the beauty of Joshua Tree as you create. 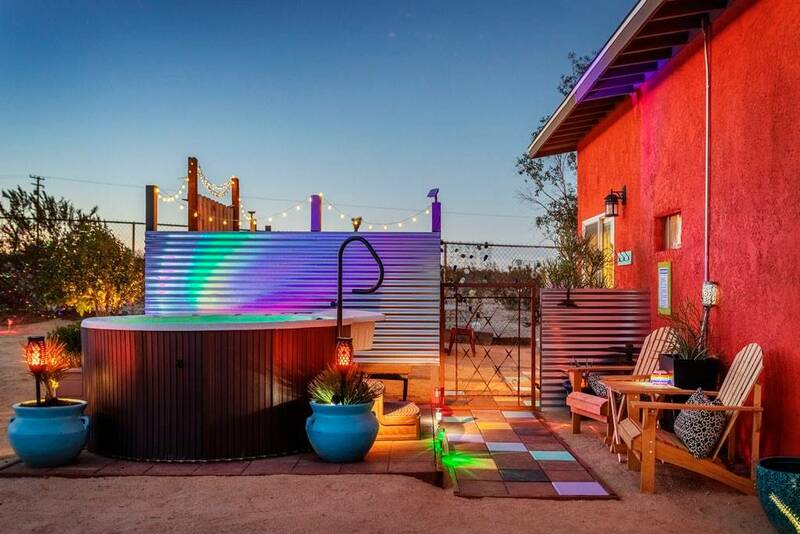 A great way to rev-up your creative juices is to soak in the hot tub which is an amazing place from which to view the stars. 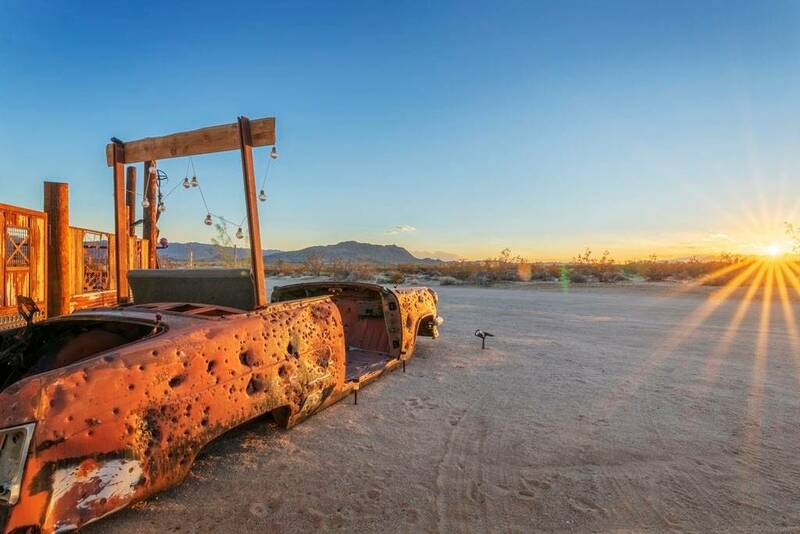 Not only will you be just 12 miles from the west entrance of Joshua Tree National Park, you’ll be less than seven miles from downtown Joshua Tree. 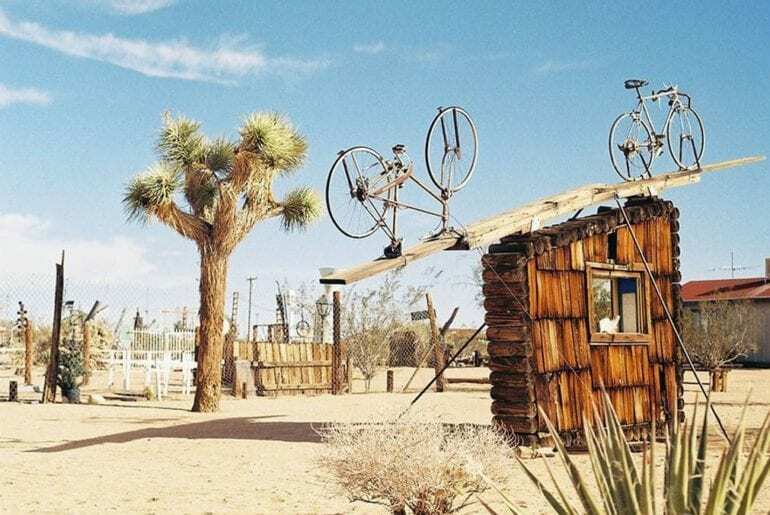 Since you obviously have an artistic bent, we highly recommend a visit to the Noah Purifoy Foundation which showcases some of the most innovative outdoor art you’ve ever seen. Just be sure to let us know when you have your own showing! 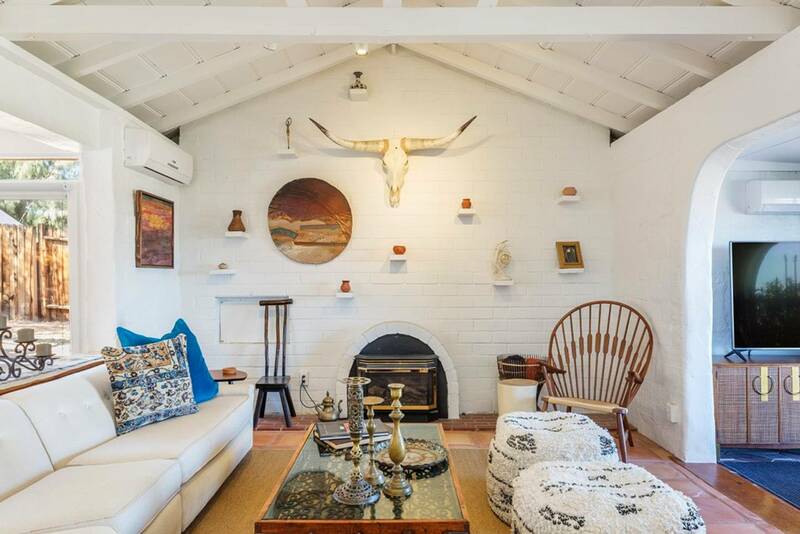 While “Casa de la Rosa” may look relatively unassuming, inside, it’s an amazing mix of period styles, vibrant decorating, and a lot of whimsy. 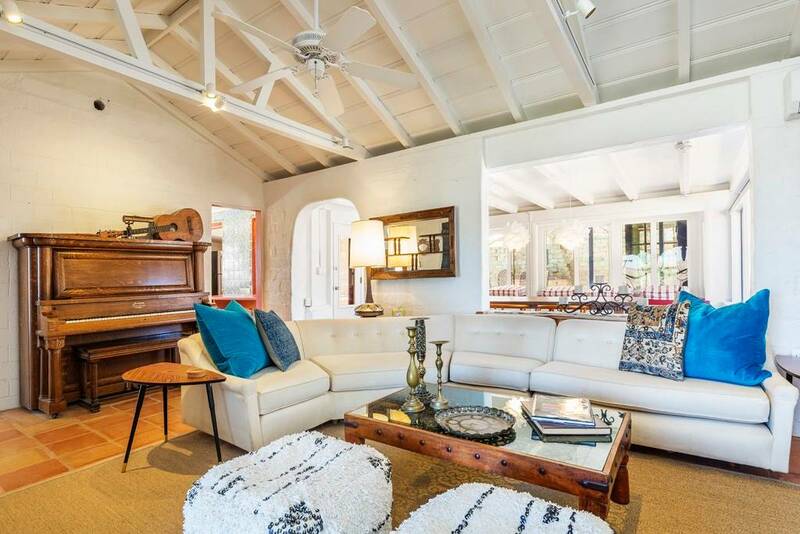 Come to think of it, given that there’s an outdoor piano, the whimsy kind of extends to the outside as well (If it’s too chilly to twinkle the ivories outside you can always play in the indoor piano). 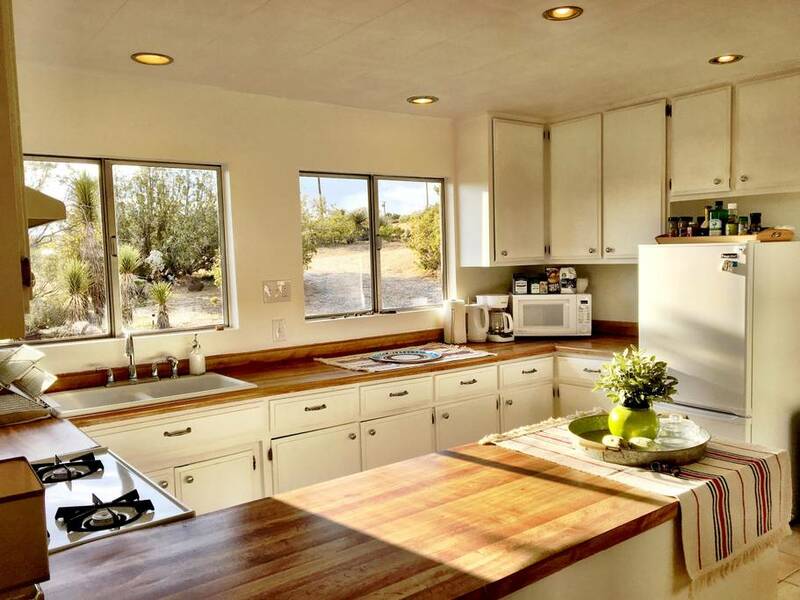 Built in 1949, this three-bedroom, three-bath home sleeps ten, making it a great choice for a girls’ getaway, a small family reunion, or even a place to stay if you have tickets for Coachella or Stagecoach. 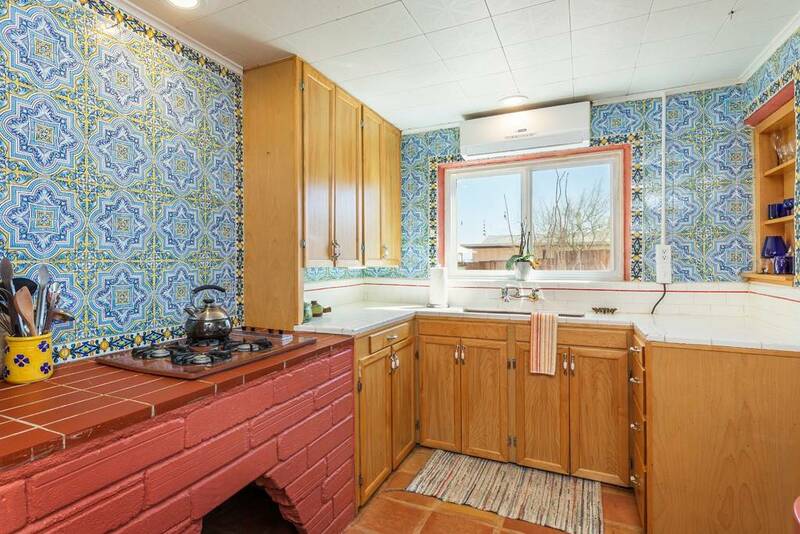 With a fully equipped, super cool kitchen (can we talk about those cool, built-in 1970s ovens?) 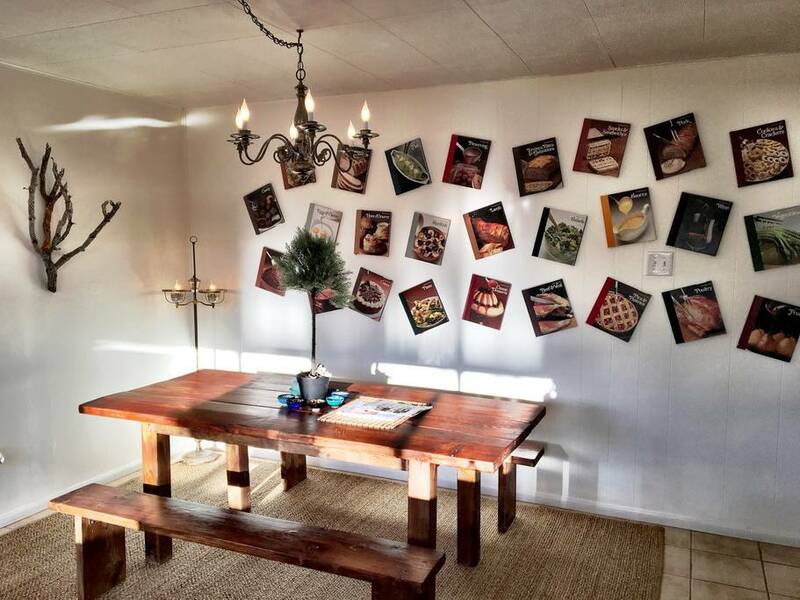 and plenty of room at the dining table (how cool is that banquette?) 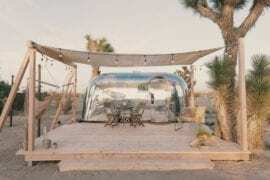 you can easily entertain a big group or carry the party outside to the pool area (why not pick up some fresh produce and veggies at the Joshua Tree Farmers’ Market on Highway 62?). One of your hosts is a knitter so we’re guessing she’s been to the World-Famous Crochet Museum made from a former photo-processing booth. It’s a real hoot so try to see it if you can! 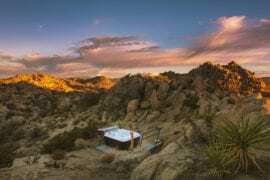 It’s hard to one-up the beauty of nature, especially in a place like Joshua Tree but this incredible studio Airbnb might just do it. 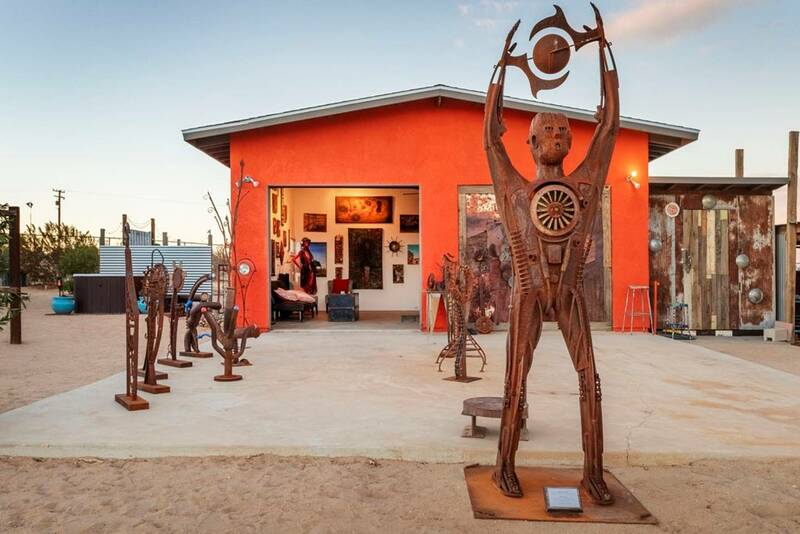 Within walking distance of the Noah Purifoy Foundation, this breathtaking, innovative house covered in rusting steel panels is a work of art in and of itself. There’s not a lot here but what there is has clearly been chosen carefully: a small selection of books, a few choice vinyl records, a pancake maker, and even a Lite-Brite set are among the few objects that made the cut. 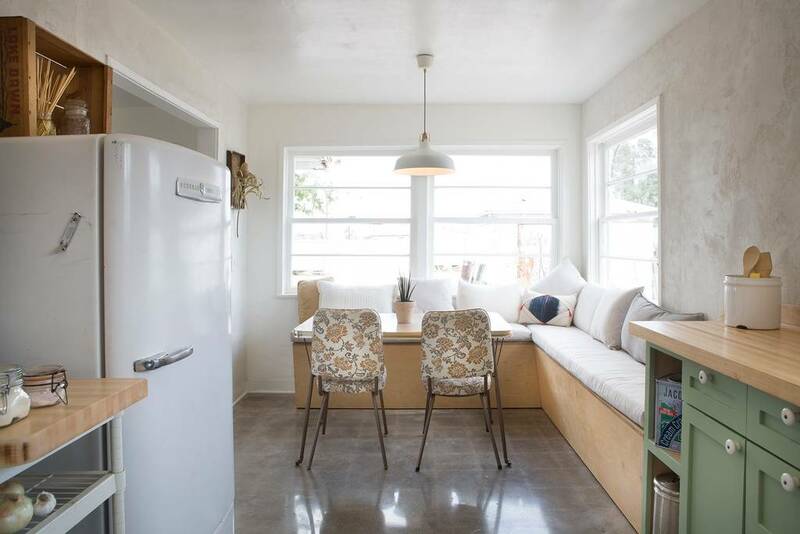 You’ll also have a small fridge and coffee from the Joshua Tree Coffee Company, a beloved local favorite. Since you won’t have access to a stove or oven, we recommend a visit to Pappy & Harriet’s where you can not only get great grub, but live entertainment. La Copine is also a great, sophisticated choice but beware of lines as they do not take reservations. When you come home, all you have to do is relax with a beer and a Lite-Brite! 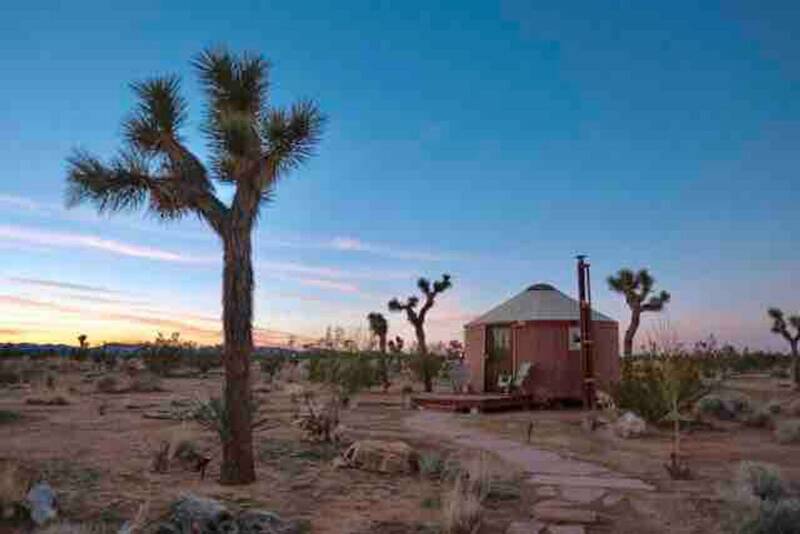 For a lesson in living with only what truly matters, book this Joshua Tree Airbnb. 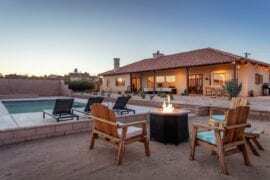 We can almost promise you you’ll come home and throw out almost everything you own, put your house on the market, and build a castle-like structure somewhere in the desert. 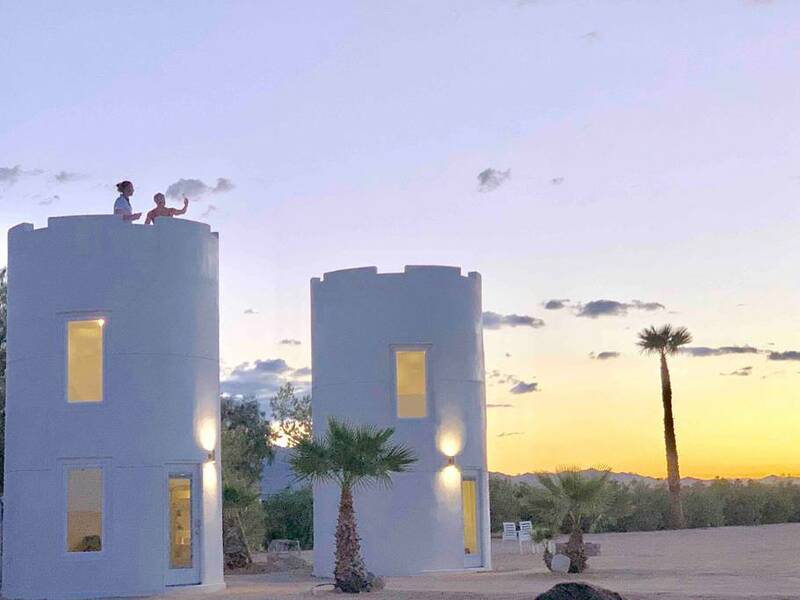 Featured on HGTV, this incredible castle has no running water, no formal kitchen, and the bathroom facilities are outside, but when you see the view from the castle roof, you probably won’t care (and you’re probably become addicted to taking a shower outside). 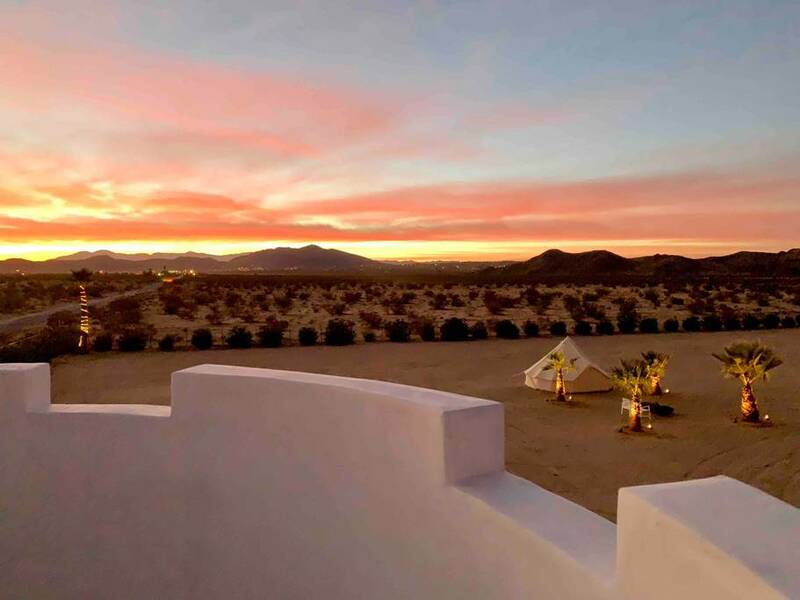 In addition to being able to sleep on the roof (if weather permits), you’ll have your own person fire pit where you can make s’mores and spot constellations. 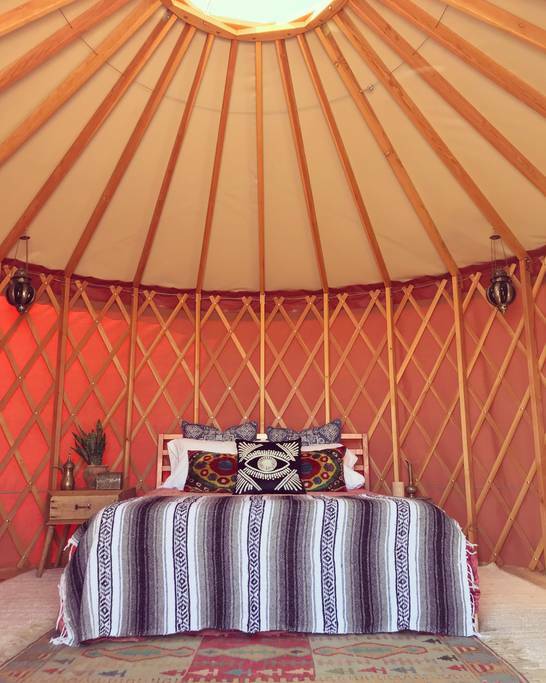 For a little variety, there’s a shared yurt on the premises. 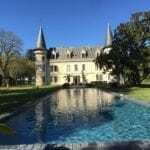 We guarantee this will change your definition of a castle forever. 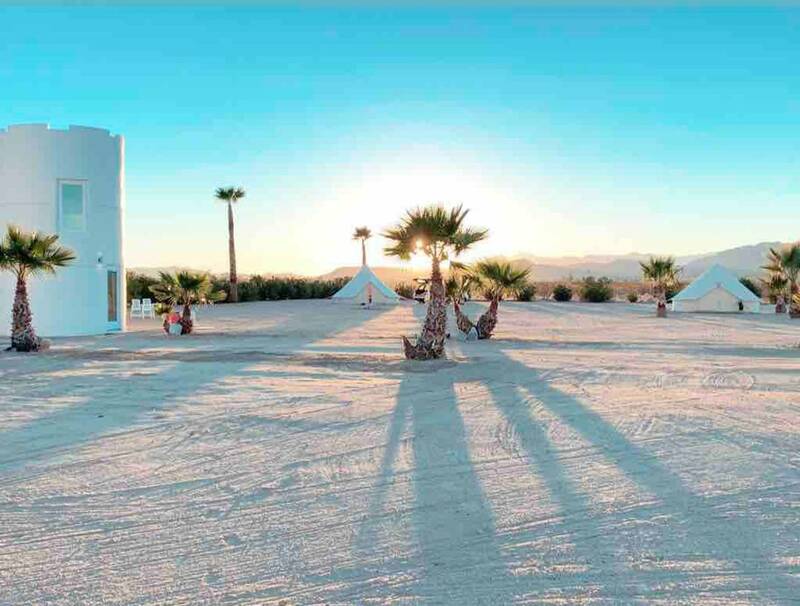 Between the bocce ball court, the piano, the hot tub, and the fire pit, you’ll have plenty to keep you occupied between concerts at Coachella and Stagecoach. 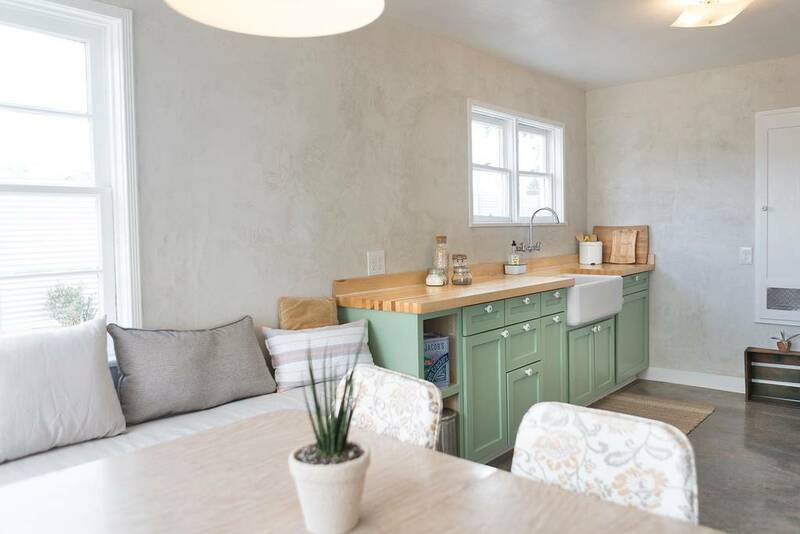 Just ten minutes from Joshua Tree National Park, this one-bedroom house is one of the original 1947 homes built in Joshua Tree Village. 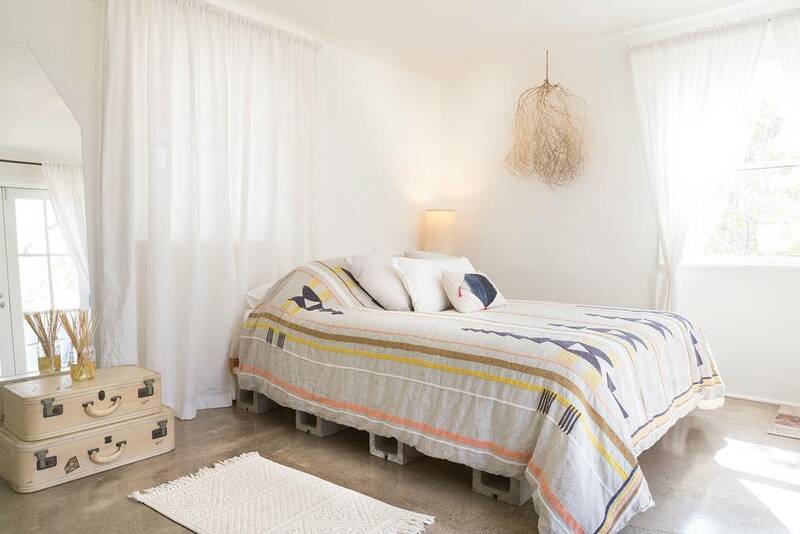 Within walking distance to village shops and restaurants, this house is so sunny the owner recommends you bring sleeping masks although the bed has a super-comfortable Casper mattress so you might be so relaxed you won’t need one. Not surprisingly, this house is solar powered so don’t freak out if the lights dim when the sun goes down. For an absolutely insanely good breakfast, we recommend Crossroads Café or the Country Kitchen, both of which are very close by. 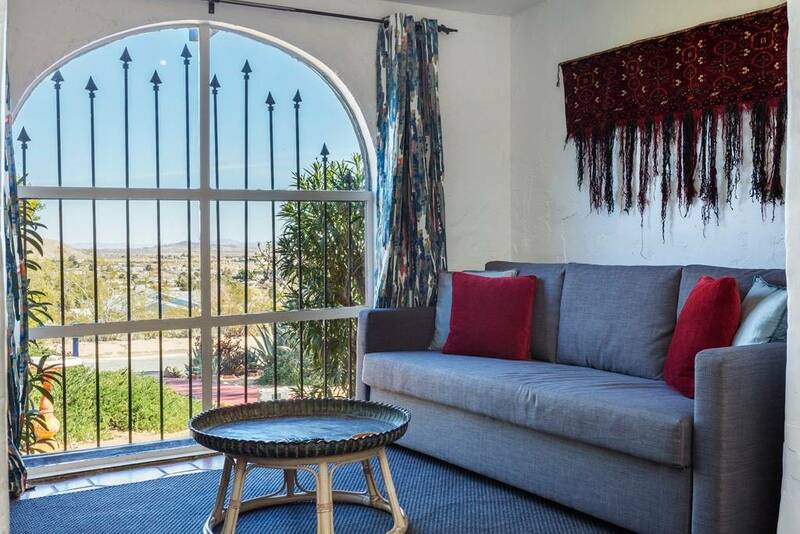 You’ll also be very close to the Hi-Desert Cultural Center which is a fabulous place to catch any kind of entertainment from comedy improv nights to classical music concerts. And we bet you thought Coachella was the only music game in town! 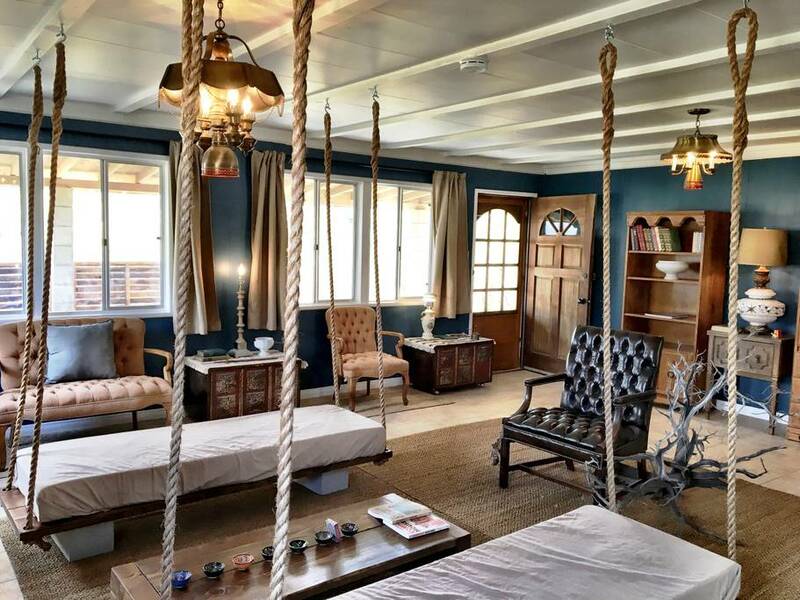 When the living room couches are hanging from ropes, you’re in a pretty remarkable Airbnb. 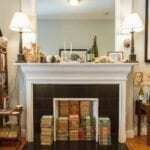 Decorated in a super-eclectic style, this 1958 home is one of the original houses in the area and the vintage cookbook covers on the wall of the dining room reflect that. 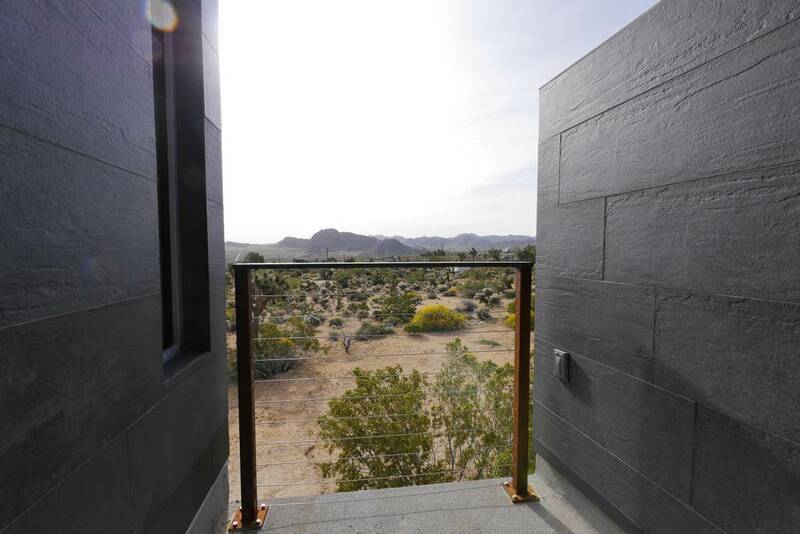 Newly remodeled, the Land of the Lost Boulders as this house is called is configured in a way that allows for complete privacy between the two bedrooms which is great if you’re traveling with friends (the home sleeps up to eight people so think about who you want to invite). This is an ideal place for hikers as you can be out the door and climbing up boulders within minutes. 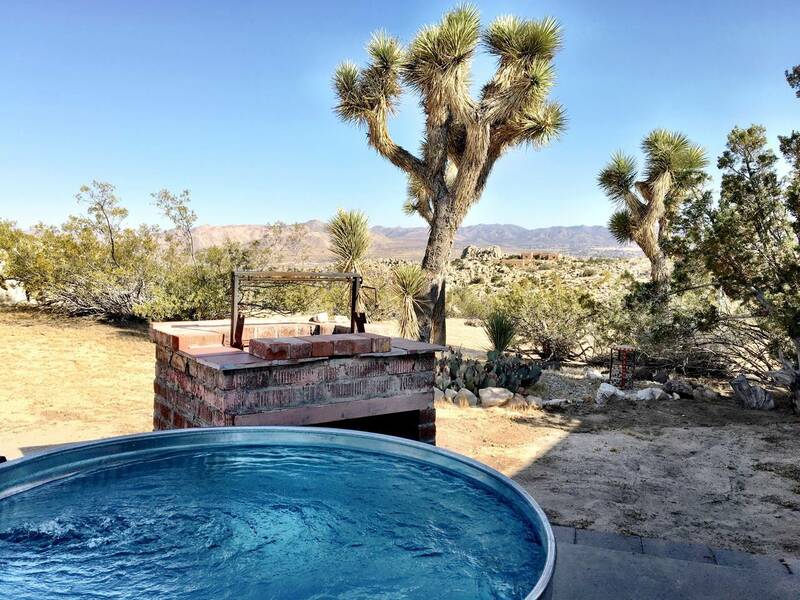 Situated in Yucca Valley, it’s also a great place to ride horses or go off-roading. If you really want an totally unique experience, be sure to check out Pioneertown, a former movie set built as a functioning town. 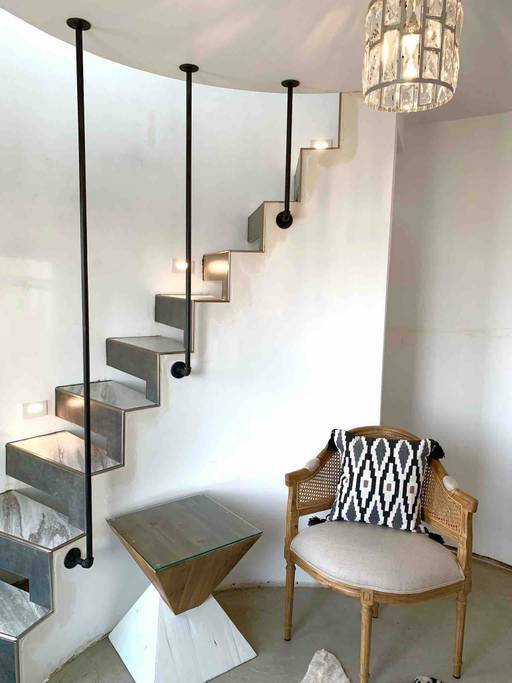 This is the perfect place to make your own movie-worthy memories! 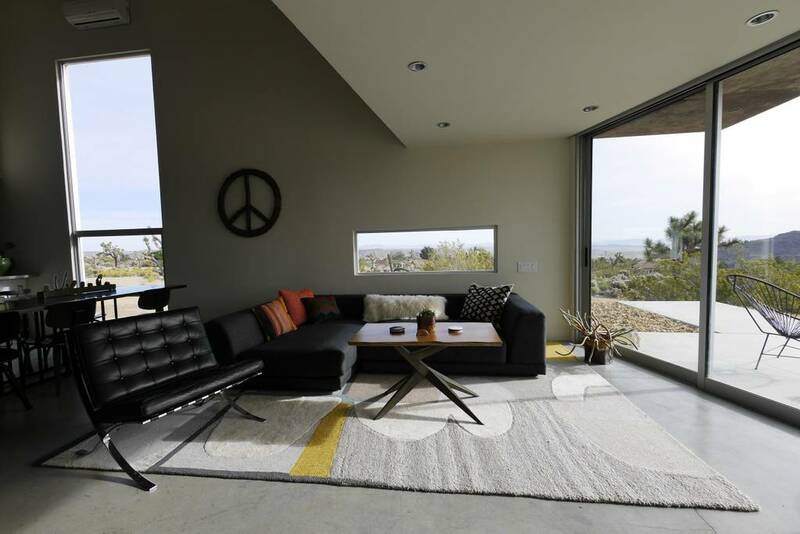 Known as “Spirit Wind” this three-bedroom Joshua Tree home is an architectural gem in which you can really let your spirit soar. 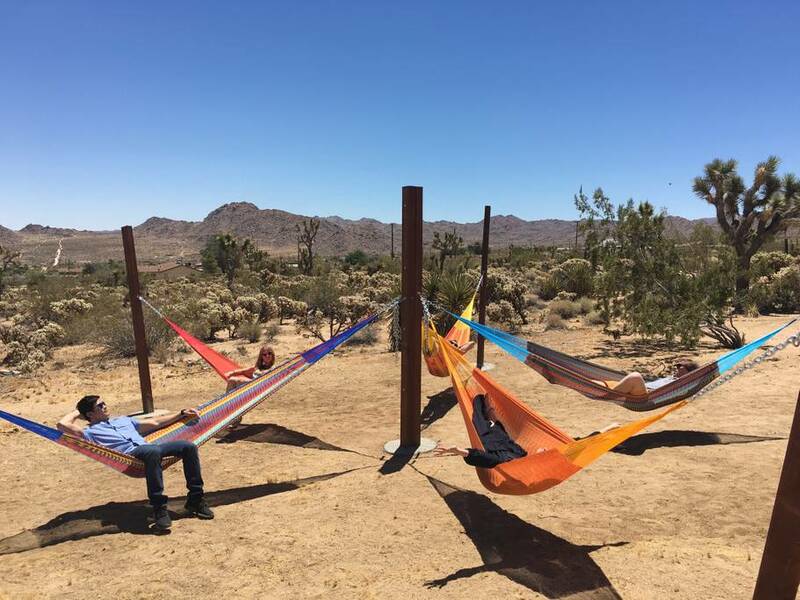 With a “house guitar,” on site, you can spend your days in one of the incredible hammocks, just strumming and enjoying the amazing scenery that is the Joshua Tree. In fact, you can also sit in the hammock circle and stargaze through the house telescope, when you’re not throwing horse shoes in the horseshoe pit. There’s also a 1970s turntable and curved walls so the acoustics are incredible. 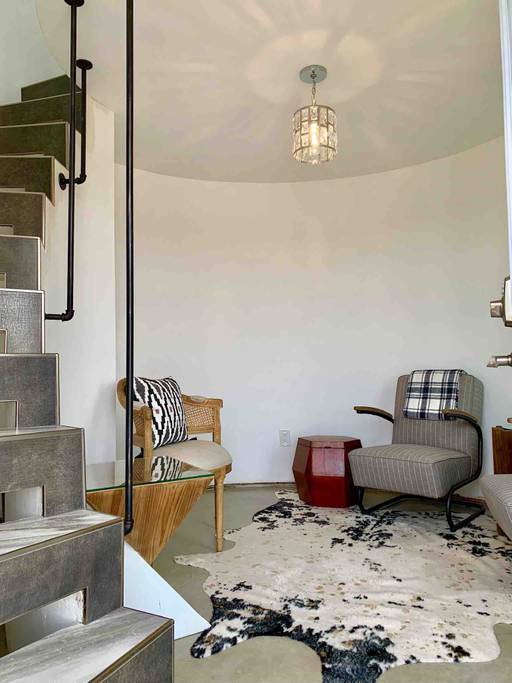 Not only is this house designed for great sound but for sound mind as well. 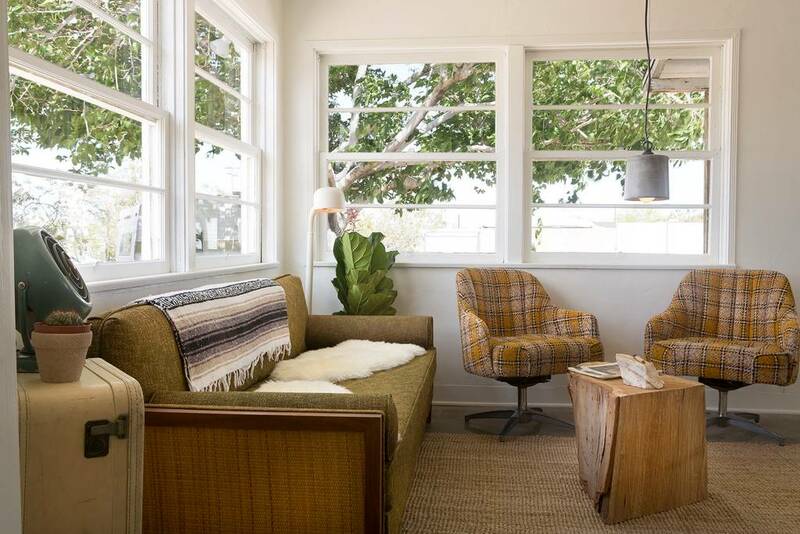 The “windows and walls align with sun and moon to trace and make manifest equinoxes of both spring and fall” so you’ll emerge feeling at peace with the planets. 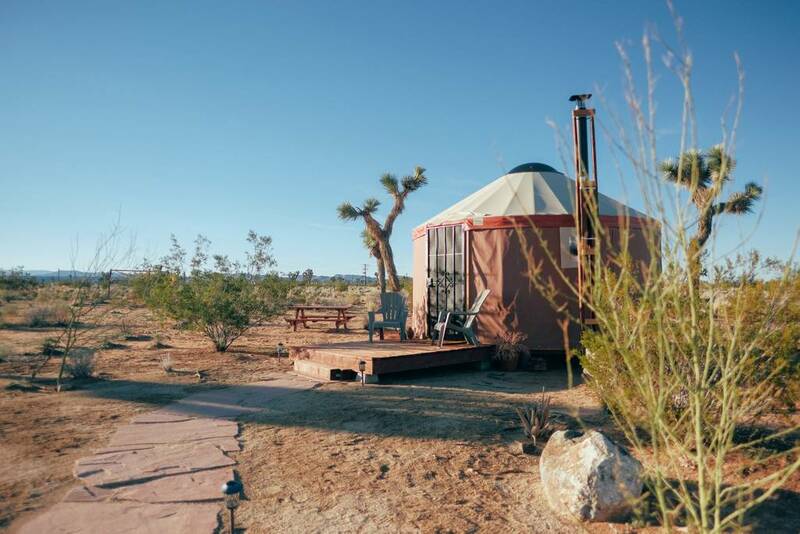 As every creative person knows, sometimes the best way to get inspired is to rid yourself of every possible distraction and this yurt in the Yucca Valley will help you do exactly that. With no electricity (there are a few solar lights but that’s it), you won’t have to think about who’s emailed you or what the Kardashians are up to. You won’t even have a kitchen, just a BBQ grill, so you won’t have to worry too much about cooking. 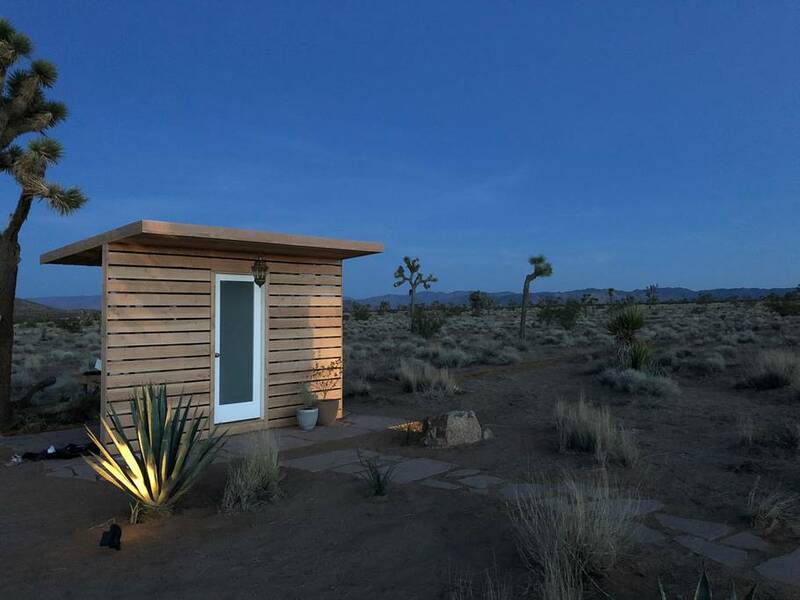 Luckily there’s an outdoor shower, sink area, and flushable toilet so you To get those creative juices flowing, we recommend a visit to the The Integratron, a nearby “energy machine” where you can experience sound healing. 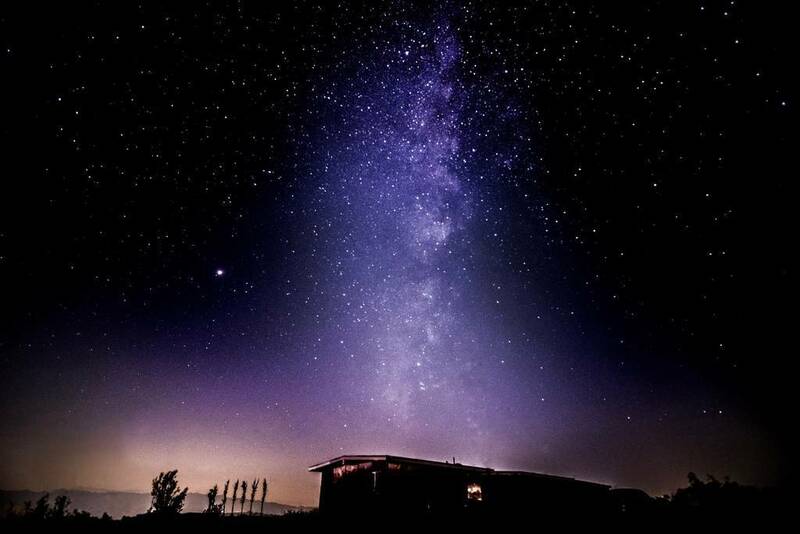 Or you can just lie in bed and let the stars inspire you. 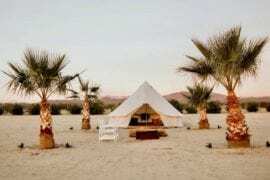 You Need To See These 8 Ultra Luxury Joshua Tree Airbnb Spots!